Vietnam is a dynamic travel destination which is attractive almost neighbors such as Thailand, China, Taiwan, Malaysia, Singapore and so on. A fascinating contrast of traditional and modern can be seen throughout much of its 3000-kilometre coastline. Vietnam has more than its fair share of impressions for anyone looking for an exotic culture, thousands of years of history and stunning landscapes like Ho Chi Minh city, Mekong Delta, and Phu Quoc island. In this article, we will give you some suggestions to get the best Southern Vietnam tour package from Malaysia during 7 days. Malaysian citizens no need a visa to Vietnam if their staying is less than 30 days. Therefore, you come to Vietnam in order to travel during 7 days, you just need a passport. You should book the round-trip ticket in the international airport as soon as to get the lowest price. Let’s check all of your information, have your accommodation address ready to go for the arrival form, be very respectful to the immigration officers. From Kuala Lumpur upon arrival at Tan Son Nhat International Airport, spending one day to visit Ho Chi Minh city. Start your story of Saigon with a visit to the War Remnants Museum. Here, your guide will tell the story of the city’s darkest and most tragic hours during the Vietnam War. The museum contains displays of military aircraft, weaponry and a collection of harrowing photographs taken during the war. Nearly that place, you visit the Reunification Palace, once a symbol of the South Vietnamese Government. It was here on 30 April 1975, that the war ended when a North Vietnamese Army tank crashed through its gates. Then, continue to the Central Post Office which designed and constructed by France, and takes a moment to send a postcard, email or change your cash! Stroll down follow Dong Khoi Street, which figured prominently in Graham Greene’s famous Vietnam novel, The Quiet American. The walk ends at the Saigon Opera House which has been constructed since 1898 by the French architect. The theater is constructed 468 seats to offer a good view from every seat for many high-profile events and cultural – entertainment activities of the city. Therefore, it ensures that the Opera House is an ideal place to help you have an interesting history. 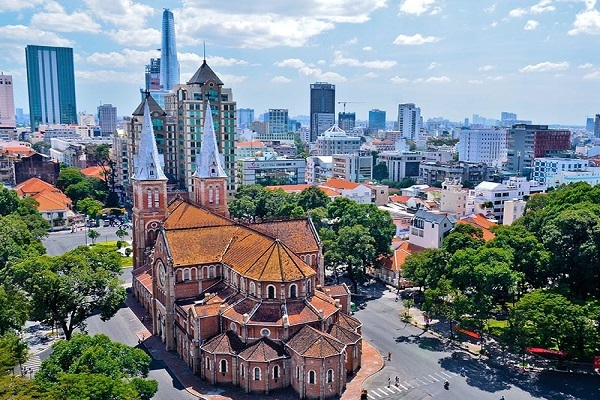 In the evening, you have many options such as coming to Bui Vien street to enjoy the street-foods, visiting night markets to buy the necessary items, exploring the bars, pubs in Saigon. 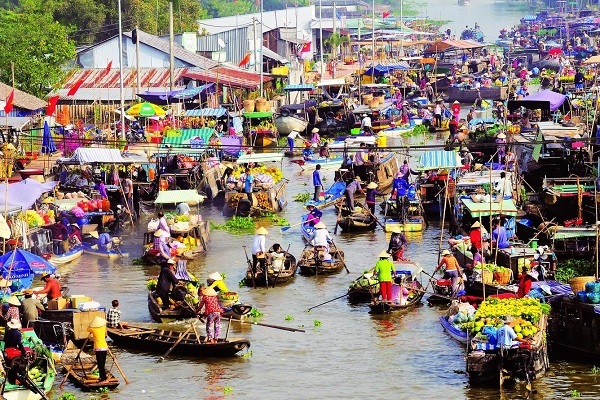 You will have a great opportunity to visit Cai Rang Floating Market in Can Tho is opened all day but it is crowded from sunrise to near the mid-day. Hundreds of boats created to exchange the various goods including a numerous tropical fruits, daily items, foods. The waterway becomes a maze of hundreds of boats packed with local fruits such as mango, bananas, papaya, pineapple, and even smuggled goods. You will enjoy the atmosphere in the large sized anchored boats create meandering lanes for smaller ones to weave through. Another destination in Mekong Delta tour from Ho Chi Minh is the Monkey Bridge, which makes the most amazing experience to every foreign tourist. You also stop at a small homemade coconut processing plant to see how coconuts have been turned into oil. In the morning. You leave Can Tho to Chau Doc by car. The other destination in Southern Vietnam tour package from Malaysia is Tra Su getting to the wild birds Sanctuary, cruising smoothly with small boats. You will have a chance to visit Cham village built by almost houses have the type of unusual architecture with decorative patterns and decoration. Cham women are very beautiful when they wear traditional clothes. After approaching Tan Son Nhat airport, you will transfer to Duong Dong airport and have a lunch. 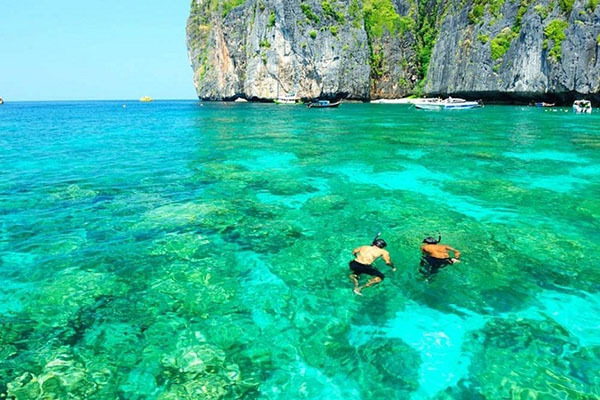 Phu Quoc is well-known as one of the popular destinations in Vietnam tour package from Malaysia with unspoiled beauty and white sandy beaches. Take around Phu Quoc Town for visiting: Hung Long Pagoda, Thatch Spring, Ham Ninh fishing village (enjoy fresh seafood by yourself). Firstly, you visit Ham Ninh fishing village where you can try the fresh food, next to visit stream Tranh, you can walk from the foot to the top by 600 meters. And Phu Quoc is a great beach for you to lie on the sand, enjoy boiled flower crab meat and grace the stunning sunset on the beach. In there, you can buy some flower crabs, a bottle of sea-horse, some souvenirs. After having the dinner, you should take a night squid fishing tour to have a relax. After enjoying the breakfast in your hotel, you drive to An Thoi village for visiting the best famous fish sauce factory. And then, you should visit Phu Quoc vestige prison, War Memorial and a famous underground work grow Australian pearl. There are hundreds of prisoners were jailed and tortured brutally in the place of detaining political prisoners and people who fought against the French and American. More of the actual vestiges of the prison are displayed on the first floor. On the wall, there are black and white photos showing the different ways people were tortured, as well as portraits of people who died there. After that, you come to Sao Beach to relax and swim yourself at the beach. You can spend your free-time to walk around the Duong Dong town and buy the souvenirs for your family and friends. Finally, you will end the memorable Vietnam tour package from Malaysia. In additionally, as you known, Vietnam is created by three regions like Northern area, Central area and Southern area. If you have a free time, you should spend some days to visit others. Clearly, when you join in Southern Vietnam tour package from Malaysia, let’s visit Hanoi – a charming city, Halong Bay – one of the seven natural wonders in the world and Sapa – a huge of terrace rice fields. Sapa is more and more attractive foreigners by almost of stunning destinations such as local markets, villages of ethnic groups, mountains, church and so on. For example, Cat Cat village and Shin Chai village are the two villages of H’mong people and Dzao people. They are famous for its distinctive customs and practices kept from a long time. As a result, coming there, you will approach the life of local like the interesting culture and clear how they make a handicraft. You also shouldn’t miss Bac Ha market where is the largest market in Sapa. Many ethnic groups come to this market to sell and buy the dairy product served for their life. Of course, you will enjoy the traditional foods and you can buy the handicraft to make a gift for your family and friend. 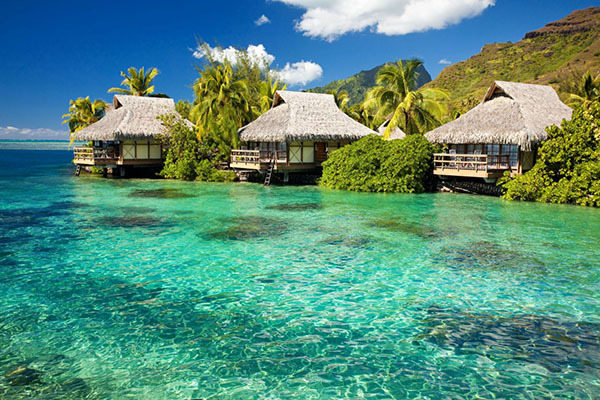 In Central region, the most popular destinations are Danang, Hoian and Hue. Let’s spend time on traveling all these.